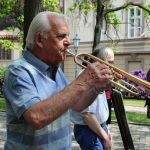 How did an organisation devoted to the teaching of philosophy become involved in a campaign to prove the innocence of a group of “jazzmen” in Communist Czechoslovakia? First, what was and is the Jan Hus Educational Foundation? Its origins go back to 1979, when the philosophers of Oxford University received an invitation from the Prague-based philosopher Julius Tomin to teach at his home seminars. They accepted his offer, and began to visit not only Tomin’s seminar but others too. A charitable trust was set up, the Jan Hus Educational Foundation, its name referring to the link between Jan Hus and John Wycliffe, and thus Balliol College, Oxford. It was not a human rights organisation, nor was it set up to alleviate hardship, nor was it religious; its purpose was to promote academic freedom and independent learning and its modest funds were earmarked for stipends for organisers of seminars and research workers, travel costs for lecturers, and books and other materials for the seminars and the samizdat press. Nevertheless, the Jazz Section was already on the Foundation’s agenda when I became its secretary in 1985. 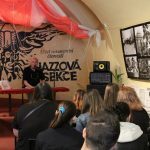 The Jan Hus Educational Foundation maintained long-term contact with representatives of the Jazz Section such as Petr Oslzlý in Brno, and the philosopher Petr Rezek and translator Jaroslav Kořán in Prague. It understood the importance of the activity of the Jazz Section in the field of the “unofficial” culture, whereby the Jazz Section gave young people the courage to think and act independently and enabled them to keep up with contemporary currents in art, music and theatre. The publishing programme of the Jazz Section, including Případ Wagner (The Wagner Case), Hudba Terezínského ghetta (Music in the Terezín Ghettto) and Bohumil Hrabal’s novel Obsluhoval jsem anglického krále (I Served the King of England) also made an impression on the Foundation. Meanwhile, the quality of the bulletin had rapidly professionalized both in presentation and content, and Skalník and Srp were preparing further publications: Situace, a series in A4 format about contemporary Czech artists; and Jazzpetit, an imprint which over the years published titles on a range of subjects not covered by the official press – Surrealism, Dada, minimalist art, the Living Theatre, a rock encyclopedia and a novel by Bohumil Hrabal which had previously only appeared in samizdat. The key enthusiast for its work was a relatively new trustee pf the Foundation, the artist and writer Jessica Douglas-Home (nee Gwynne). Her husband, Charles Douglas-Home, Editor-in-Chief of the leading British newspaper, The Times, was already suffering from his final illness. He died at the end of October 1985, as the crisis over the Jazz Section was intensifying. 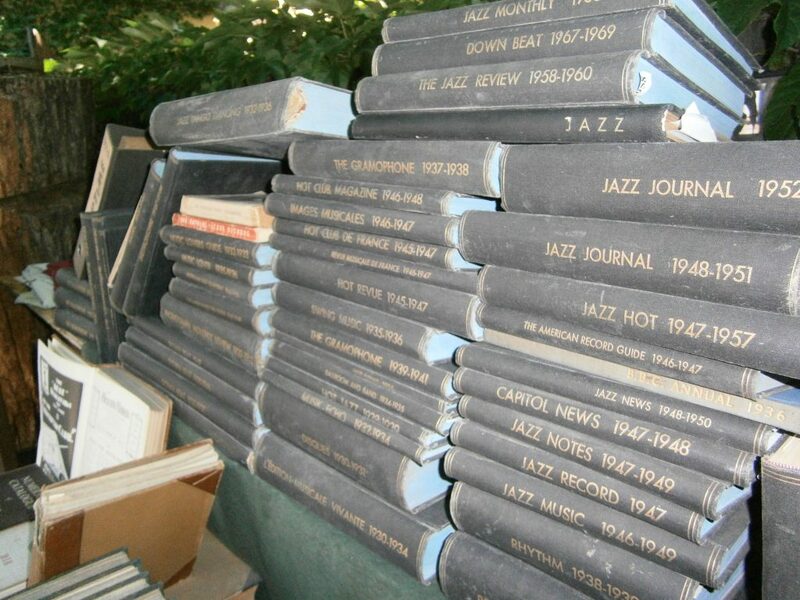 Nevertheless, he had ensured that The Times devoted more space to the Jazz Section than any other Western newspaper. 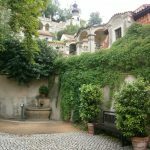 Jessica Douglas-Home’s first visit to Czechoslovakia had been in 1983, after she had been co-opted into the Jan Hus Educational Foundation by the energetic philosopher Roger Scruton, one of the co-founders of the Foundation. As wife of the editor of The Times, she had access to leading politicians and journalists, not only in Britain.1 She was also able to raise funds for the work, insisting that in the totalitarian bloc it was not only independent education in the humanities that needed support, but also access to new developments in the arts. 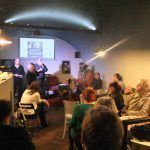 In this she was encouraged by the leader of the Foundation’s newest underground seminar, in Brno, Petr Oslzlý, dramaturge of the Theatre on a String. The seminar was planned for people who were not from a “dissident” background, but were interested in discussing concepts and materials at that time not easily available, in various fields but with the underlying theme of ethics. From 1984 to November 1989 the British Jan Hus Foundation sent twenty-eight lecturers to Brno, who in the course of forty visits held sixty-two seminars at the Oslzlý home. Petr and his wife Eva estimate that the number of attendees sometimes reached fifty. Petr Oslzlý introduced Douglas-Home to the leader of the Jazz Section Karel Srp on 1 Oct. 1985, during her visit to Prague. 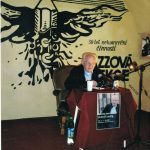 A few months earlier Scruton had been expelled from Czechoslovakia after being detained in Brno, where he had been visiting Jiří Müller – to discuss, among other things, the Jazz Section. After his expulsion, Douglas-Home took over much of the agenda. At her three-hour meeting with Srp she agreed to try to arrange for a talk on the Jazz Section before Jiří Stivín’s concert in Bristol later that month; promised that the Foundation would help the families if the committee members were jailed; and said they would try to obtain membership of the International Bar Association for the lawyer advising the families, Dr Josef Průša. Shortly after her return to London, Douglas-Home briefed the Conservative Member of Parliament, Norman St John Stevas. In autumn 1985 Norman St. John Stevas attended the Budapest Cultural Forum (part of the follow-up to the Conference on European Security and Co-operation, with the job of discussing the cultural aspects in the context of the Helsinki conference covering human contacts and exchanges) as leader of the British delegation. “If Czechoslovakia continued to persecute the Section, surely it could no longer be considered a signatory in good faith and should forfeit cultural ties with the West.”2 In Budapest, St John Stevas stunned the Czechoslovak delegation with his knowledge of the Jazz Section, and a report apppeared in Britain in The Times. Karel Srp, with the help of the American Embassy, had been present in Budapest to enjoy their discomfiture. Returning through Prague, St John Stevas was present at a meeting with the Jazz Section committee arranged in the magnificent art deco Municipal House by the British Embassy (a meeting also reported in The Times). St John Stevas recommended Douglas-Home to the Foreign and Commonwealth Office, and she remained in contact throughout this period, regularly meeting successive Ministers of State (Malcolm Rifkind, Tim Renton) and civil servants, pressing them to take more assertive action. The following September, shortly after Srp’s arrest, David Mellor (as Minister of State for Foreign and Commonwealth Affairs) again raised the question of the Jazz Section at the CSCE Vienna follow-up meeting. After the arrests in September 1986, one of the first articles to appear was my own, in the periodical The Spectator.7 Two days later a leader, “In a Faraway Country”, appeared in The Times. However, the most disturbing article for the Czechoslovak secret police was by Roger Scruton, published in The Times of 3 Dec; coincidentally on the same day as an article in the International Herald Tribune by its jazz correspondent Mike Zwerin.8 The secret police worried whether Scruton could have obtained his “perfect information” from the same source as that mentioned in Zwerin’s article: “A former member of the section…. travelling around Western Europe with a thick dossier including historical data, press clippings and copies of letters….” and made a note to track down this (possibly fictional) Czech tourist. It crosses their mind that Scruton might just possibly have his own underground channel of communication. A few days later, Norman Podhoretz, “who had finally summoned up the courage to get to Prague and had been much affected by his meetings with [the political scientist Pavel] Bratinka”,9 wrote an emotionally charged piece for the New York Post.10 Josef Skvorecky, passing through London in October 1986, was updated by the British JHEF on the latest developments and in 1987 wrote “Hipness at Dusk” for Cross Currents. (He later published Jazz Section materials in Canada.) 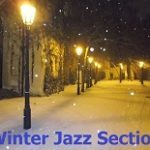 In February 1987 the Canadian radio journalist Nancy Durham11 travelled to Brno and Prague, ostensibly to report on Czech culture, but in reality to make a programme about the Jazz Section. 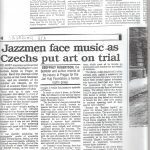 “Czech Jazz” was broadcast on CBC two days before the Jazz Section trial. A March 1987 report for the trustees recorded the number of articles, letters, leaders, news items, programmes and publicity placed by the Foundation. The Musicians’ Petition, spontaneously created a new wave of media interest. 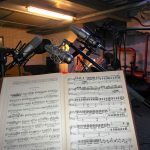 The Musicians’ Petition was the brainchild of another JHEF trustee, the British composer David Matthews, who had become involved in the support of the Jazz Section. He had originally visited the Brno seminar in January 1986 with a view to establishing a programme of seminars about and for musicians, at the same time leading a seminar on Mahler’s 10th Symphony. In October the same year, a month after the arrests, he attended the Brno International Music Festival.12 He was accompanied by the composer Nigel Osborne and, in long talks with Petr Oslzlý, they decided that their best method of support was a petition on behalf of British musicians. (Osborne recommended that similar initiatives should be taken in the worlds of theatre and literature.) They agreed that the petition should be addressed to President Gustáv Husák and courteously worded, drawing attention only to “a fundamental misunderstanding of the role played by the Jazz Section of the Musicians’ Union, whose activities have brought such liveliness and inspiration to the Czech cultural scene and helped make it an object of admiration throughout the world”.13 During October, November and December, Matthews and Osborne worked feverishly to collect sixty signatures, including those of Sir Colin Davis, Bob Geldof, Elton John, Paul McCartney, Simon Rattle, Sir Michael Tippett, Pete Townshend and Andrew Lloyd Webber. Matthews’ own signature did not appear; there was the risk he might already be known to be associated with the Jan Hus Foundation, and that the action could be traced back to Petr Oslzlý. Donald Mitchell, President of The Britten-Pears Foundation, agreed to head the Petition, and at the end of December 1986 presented the letter with the sixty signatures to the Czechoslovak Embassy at Notting Hill Gate with a request that it be delivered to President Gustáv Husák.14 A few days later a copy of the Petition appeared as an advertisement in The Times. Charles Alexander, Norman St John Stevas, Kingsley Amis and Tom Stoppard (a trustee of the Foundation from the beginning) had earlier signed a joint letter to The Times, urging “Her Majesty’s Government to bring pressure to bear on the Czech authorities, whose action has violated the spirit and the letter of the Helsinki accords”.15 In February 1987 Kingsley Amis with Iris Murdoch (also a trustee of the Foundation), Malcolm Bradbury, Seamus Heaney, Graham Greene and ten other writers published a letter calling for the charges against the Jazz Section to be withdrawn. Geoffrey Robertson was already one of the most famous human rights lawyers in the West, having acted as defence counsel in some dramatic trials. In 1988, as lawyer for Salman Rushdie, he was threatened by Muslim terrorists. 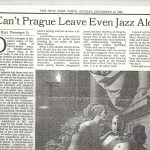 On 24 October 1986 Robertson travelled to Prague, where his guide was the translator and Jazz Section member Jaroslav Kořán. In the course of the weekend he met, as well as Dr. Průša, Václav Havel (who advised on tactics); Rostislava Křivánková (wife of one of the imprisoned); and several Jazz Section members. Robertson analysed the case being brought against the seven men, their defence tactics, and the opportunities that could be used in publicising the case. “It is also important,” he wrote “that ‘official guests’ from Britain take the opportunity to raise the issue. A vital opportunity was lost last weekend when jazz bands from the U.S. and Britain… failed to dedicate songs to the defendants. I suspect they were dissuaded by Western diplomats, ignorant of how significant such messages would be for the local audience.”18 He considered the role of Charles Alexander and the IJF to be crucial to the defence strategy. Douglas-Home visited Czechoslovakia again in January 1987, mainly to give a talk on art to the Brno seminar. In Prague, among other things, she delivered the money allocated to the families of the imprisoned jazzmen. She had a long meeting with Jiří Exner, briefing him on progress in London (including a meeting with Tim Renton, Minister of State in the Foreign and Commonwealth Office). 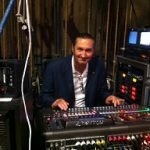 Much of the conversation centred on the practical details of setting up a “virtual office” for the Jazz Section, with a working committee and patrons, including Nigel Osborne. It would be inaugurated with a letter from the IJF, and a PO Box number and bank account number would be obtained. However, the name of the Foundation, as well as those of Scruton, Douglas-Home and Matthews, were to be kept out of it. On her return, Douglas-Home called a meeting with Scruton, Alexander and Osborne, joined by Zina Freundová and Zuzana Princová. 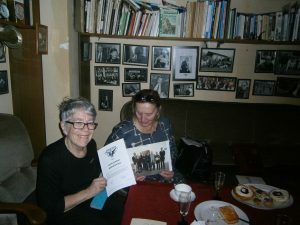 Princová, in the 1960s active on Prague’s small stages but currently a journalist with the journal The Economist, had been particularly active in the cause of the Jazz Section and initiated a number of actions independently. They suspected that the continued delay in setting a date for the trial meant that the Czechoslovak authorities wanted to be sure of their case. They resolved to form the “Friends of the Jazz Section” and to initiate a programme of activities in support of its defence. One of the decisions was to ask Robertson to make a second visit to Prague. Within the next few days the Foundation arranged travel for Alexander (whom Robertson briefed on the legal aspects of the case), and, to represent the Musicians’ Petition, Nigel Osborne and Michael Berkeley (another leading British composer and participant in the Brno seminar). They were met (in the event, at the airport) by Exner and driven straight to the District Court, where Douglas-Home had arranged through the British Embassy for Alexander to be one of only four westerners to be admitted to the trial. Osborne and Berkeley joined the crowd of around fifty which filled the corridor outside – among them were journalists from The Times, The Observer, the BBC, the Voice of America and other western media, together with Jazz Section members and supporters. On 15 March, Alexander sent a five-page report to Douglas-Home, for circulation within the Foundation. 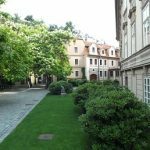 The first two pages consisted of a detailed account of the trial, followed by information from a discussion between himself, Exner, Průša, and the defending lawyer, Otakar Motejl. Page three reported on an unofficial press conference attended by about 40 people, at which the speakers were Exner, Cestmir Hunat, Joska Skalnik, Berkeley, Osborne and himself. 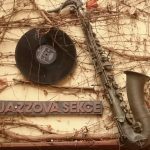 This was followed by an account of a conversation between himself and the chairman of the “other” jazz organisation affiliated to the IJF, the Czech Jazz Society. The letter wound up with a note of his interviews for the Western media and his recommendations for the future. Alexander’s exchange of letters in June 1987 with a visibly wounded Ministry of Culture (represented by Josef Trnka, Director of the Institute for Culture and Education) confirmed his commitment to the Jazz Section. Once the Committee had been released and it seemed that the Jazz Section would continue in some form, the JHEF and the Friends were eager to take advantage of the awareness and goodwill generated in the West. But as contradictory information regarding future plans emerged, this became more difficult. By early 1988 it was clear that the old Jazz Section was dividing into two entities. It was not appropriate for the JHEF to take sides, so for the time being it devoted resources to assisting both offices with the provision of equipment (computers, printers, photocopiers). 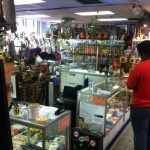 At the same time, trustees began to feel that it was time to reroute the energy that was being expended on the Jazz Section, and that the focus should return to the seminars that formed the nucleus of the Foundation’s work. A report in March 1987 had noted that “This intensive programme has entailed not only a great deal of hard work, but also considerable expenditure. We have paid the costs of two visits by our lawyer, and three visits made by musicians.21 We have sent to Czechoslovakia two sums of £750, the first for the support of the families of the imprisoned, and the second to enable distribution of the Jazz Section’s latest publication… There have also been heavy overheads: for example, telephone calls to America and Australia…. It is hoped that much of this work will now be taken over by the newly-founded Friends of the Jazz Section.” Nevertheless, the involvement with the Jazz Section and the association Artforum and with the newly-founded Unijazz continued up to and beyond the Velvet Revolution. To sum up, in the years 1985-1987 in particular the London-based Jan Hus Educational Foundation helped to support the Jazz Section in the following ways: influencing Her Majesty’s Government in keeping the persecution of the Jazz Section on the diplomatic agenda; arranging for journalists and public personalities to write and publish articles and letters in the western press; influencing and encouraging the President of the IJF to resist Czechoslovak government pressure and to support the Jazz Section openly; arranging for two advisory visits to Czechoslovakia by Britain’s leading human rights lawyer; mobilising western musicians (both ordinary and famous) of all genres to support the Jazz Section, in particular through a Petition presented to the President of Czechoslovakia; raising and making available funding for Jazz Section families in need, for travel (human rights lawyer, president of IJF, etc.) and for printing and materials, etc. ; and above all, using the JHEF network of contacts, especially those travelling to Czechoslovakia on the Foundation’s other business. 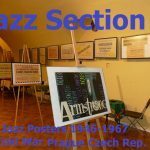 It was a totally unprecedented action in the history of the Foundation – but then, the Jazz Section was a totally unprecedented phenomenon in the history of Czechoslovakia. 1 The former Prime Minister, Sir Alec Douglas-Home, was the uncle of Charles Douglas-Home. 2 JDH, Once Upon Another Time, Norwich 2000, p. 90. 3 The International Jazz Federation, known as such from 1975, was originally founded in 1969 as the European Jazz Federation 4 Letter from J (Jiří Müller) to Jessica (Douglas-Home), 24 February (1986), quoted in Barbara Day, The Velvet Philosophers, London 1999 (hereafter VP), p. 205 5 Josef Škvorecký, “Hipness at Noon”, The New Republic, 17 December 198 6 Established by Professor H. Gordon Skilling in 1983 on the model of the British foundation. 7 Sam Hird (pseudonym), “Silencing the Jazz Section”, The Spectator, 27 September 1986. 8 Mike Zwerin, The International Herald Tribune, 3 December 1986 9 JDH, Once Upon Another Time, Norwich 2000, p. 115. 10 Norman Podhoretz, “Journey to the evil empire”, New York Post, 9 December 1986. 11 Durham subsequently became a trustee of the Foundation. 12 This could only be done through the Cultural Attaché at the London Embassy, who was also a member of the StB (codename: Vozňák) charged with uncovering the activities of the JHEF. He failed to recognise this as one of them. 13 Letter from Professor Donald Mitchell of the Britten-Pears Foundation to His Excellency the President of the Czechoslovak Socialist Republic Dr. Gustáv Husák, 23 December 1986, quoted in VP, p. 207. 14 It is not known what became of this top copy of the Musicians’ Petition with the original signatures. 15 The Times, December 1986. 16 JUDr. Josef Průša could act only as adviser to the Section’s lawyers; he had been a zealous defender in cases brought against dissidents, and consequently spent five years in prison for “perverting justice”. 17 Letter from “Elizabeth” (Roger Scruton) to “David” (Jiří Müller), undated, probably October 1986, quoted in VP, p. 207. 18 Geoffrey Robertson, Visitor’s Report October 1986, quoted in VP, pp. 207-8. 19 Letter to Roger (Scruton) from John Rose, 3 December (1986), quoted in VP, p. 209. 20 Letter to Barbara (Day) from Geoffrey Robertson, 27 February 1987, quoted in VP, p. 209. 21 The Foundation also paid Alexander’s travel, which for some reason is not mentioned here. Jazz Fellowship-Artforum is a nonprofit arts organization founded in Prague, Czechoslovakia in 1971. 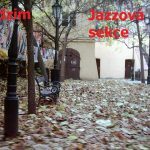 Jazzová Sekce-Artforum is one of the oldest organizations of this kind in the former Eastern Europe. 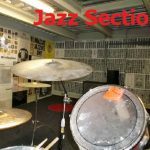 Jazz Felloowship-Artforum does not have paid employees; we function entirely on the generosity of donations and sponsor gifts. During the reign of Communism, members of Jazzová Sekce /Fellowship-Artforum were persecuted for publishing prohibited and unfit literature („samizdats“). They were also persecuted for organizing concerts of rock musicians who had no governmental permission to perform in public. During the 1980’s, Jazzová Fellowship/Section-Artforum was completely banned and many of its members imprisoned. Many intellectuals, including holders of the Nobel Prize, resolutely protested against this action. This later became the biggest protest of western intellectuals and the people in the history of Eastern Europe. Today Jazz Fellowship-Artforum organizes venues for music concerts and fine art for both Czech and foreign creators, including artists from Indonesia, USA and Turkey. 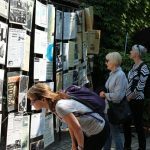 Jazzová Sekce-Artforum is primarily interested in cultural and political events of the 20th century. We curate large exhibitions addressing such themes as, The Beat Generation, August 1968, Losses and Hopes 1938-1989. 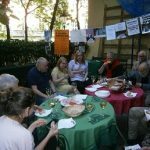 Jazzová Fellowship-Artforum also sponsors the very popular Nonstop Reading Marathons. Participants of the marathons have included famous celebrities, writers, ambassadors and readers from all around the world. 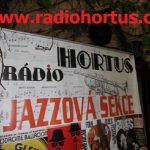 Since 2002, Jazzová Fellowship-Artforum has operated a nonprofit/ noncommercial internet radio show entitled Hortus, meaning garden. Hortus’s main passion remains jazz music. A commemorative plaque will be unveiled in the Faculty of Divinity of Cambridge University at 12.30 pm on Monday 29 October 2018. It is a thank you from students who under Communism studied in the Prague underground seminars to the lecturers who, risking their own safety, came from Cambridge to teach them in conditions of secrecy. The plaque is the initiative of one of the former students, Marta Chadimova, whose 15-year-old daughter Justina will speak on the occasion. The idea came to Marta when she realised that the younger generation has little understanding of what life was like when an Iron Curtain divided Europe. Thousands of young people in East Europe were denied education for political reasons, and the bravest of them formed underground study groups. The British Jan Hus Educational Foundation clandestinely sent lecturers to these groups and in a unique partnership with Cambridge University set up a group which was entered for the examinations of the Cambridge Diploma and Certificate in Religious Studies. Marta was one of six students who successfully completed the whole course and obtained the Cambridge qualification. Several students were also signatories of the human rights petition Charter 77; after the Velvet Revolution one former student became Deputy Foreign Minister of the Czech Republic, while another was a founder of the remodelled security and intelligence system. On 28 October 2018 the Czech Republic achieves 100 years of modern nationhood. In that century it has been twice invaded and twice suffered the oppression of totalitarian rule. In expressing their thanks to the Cambridge lecturers, the students emphasise the importance not only of resisting intimidation and supporting those in need, but also of academic independence, learning from history, and keeping alive the wisdom and values of the past.. Among those attending the ceremony will be Marta Chadimová; the Revd Andrew Lenox-Conyngham, who organised the seminars for the JHEF; Stephen Blunden, who was the link with the Cambridge University Board of Examinations; Jessica Douglas-Home and Roger Scruton, former Trustees of the JHEF; Barbara Day, former Secretary of the JHEF; and the Regius Professor of Divinity Ian McFarland. Každý má určitě chuť se alespoň jednou za život podívat za velkou louži, a to do Spojených států amerických. Když k tomu dojde, nejčastěji je cílem naší cesty východní pobřeží USA, kam patří New York , Washington DC, Boston, Philadelphia, v zimních měsících pak nejčastěji Miami na Floridě, což jsou vše dopravně i finančně poměrně jednoduché i dostupné destinace. Odvážnější jedinci – cestovatelé – pokračují i na západ, ponejvíce do Kalifornie, a cílem cesty je potom Los Angeles s návštěvou San Diega a hraničního města Tijuana v Mexiku, možná cestou zastávka v Las Vegas, Nevada a jistě severnější město San Francisco. Tentokráte však vítejte na Středozápadě u našich krajanů ve městě Cedar Rapids, IOWA. Cesta je poněkud složitější, ale určitě se vyplatí a je o to zajímavější a poučná. Pro odvážnější je možné se dopravit autem z New Yorku přes Pensylvánii, Ohio, Indianu, Illinois a potom konečně do Iowy. Cesta trvá dva dny celodenní jízdy, vzdálenost je 1600 km, vyplatí se ale už jen proto, že poznáte na svých zastávkách hodně zajímavých míst, kam se jinak nemůžete dostat. Pro ty, kteří se chtějí dopravit do místa určení rychleji, doporučují cestu přes Chicago autem či autobusem za čtyři hodiny jízdy. 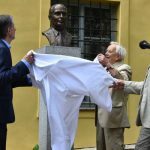 Česká čtvrť, rozsáhlé muzeum a úžasná knihovna je důkazem o velikosti krajanské obce Čechoslováků, která se desetiletí usídlovala v tomto kraji a dokázala se i v těžkých dobách prosadit. 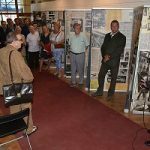 Místní muzeum potom věnuje značnou pozornost historii nejen osídlení v Novém světě od 18. století až po dnešní dobu, ale i historii jejich mateřské země jak Čech, tak i Slovenska. Nemalá expozice je věnována sametové revoluci coby zlomovému období konce komunistického režimu. Nemohl jsem jako Čechoslovák a korespondent radia HORTUS v USA tedy odmítnout pozvání po dlouhé písemné komunikaci od nové ředitelky a prezidentky naší krajanské organizace Dr. Cecilia Rokusek. Mimo jiné mě jako skoro jediná překvapila plynulou češtinou, což je zde opravdu hodně ojedinělé, ale není divu-je třeba si uvědomit, že značná část krajanů je více než třetí, třeba i pátou či šestou generací emigrantů a čeština se postupně tak nějak odpaří. Součástí pozvání byla významná společenská událost, již 15. ročník „BREW NOST“, česky asi pivní slavnosti, kterých se zúčastní každoročně nemalý počet hostů, nejen krajanů ale jiných spoluobčanů Američanů. Nemalý zájem byl též o prezentaci a umístění reklamního poutače radia HORTUS přímo v sále knihovny a semináře o aktivitách Jazzové sekce v dobách totality. Byl jsem velmi rovněž potěšen počtem zúčastněných a kvalitní prezentací České republiky i Slovenska jako dobrého základu ekonomické diplomacie. Škoda jen, že jedinou delegací ze staré vlasti jsem byl já a moje spolucestující Anna Hocek z New Brunswick, NJ. Ale o to jsem byl vzácnější host a místním krajanům dělalo dobře si s někým jako jsem já popovídat. Mimo všeho, s čím a kým jsem se zde setkal, se i páteční večer Brew Nost 14.září 2018 opravdu vydařil a atmosféra, která panovala při krásném počasí, byla jedinečná. 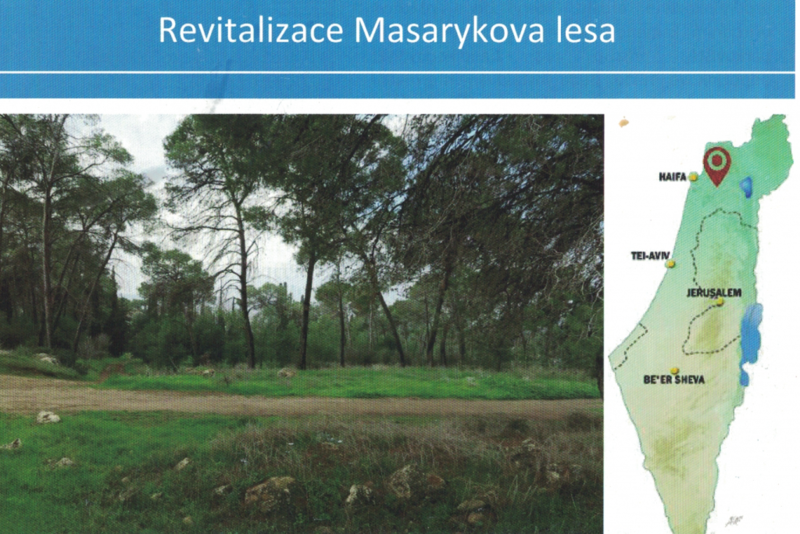 Mnohé hosty jsem měl tu čest i pozvat do České republiky a navázat milá přátelství. S ředitelkou jsem Cecilií Rokusek navíc udělal skvělý rozhovor o jejím životě až k její práci CEO mezi krajany v muzeu v Iowě. Milí cestovatelé, doporučuji i tento kout Spojených států nevynechat z Vašeho plánku na cesty po USA a třeba se uvidíme i příští rok při akci Brew Nost 2019 v Cedar Rapids, IOWA. 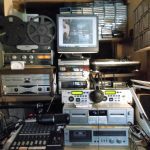 0 Recenze Jazz in Europe provides a detailed record of how «new» (American) music evolved on the «old» (European) continent. 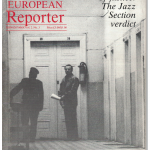 The «chroniclers» explore the history of jazz in individual European countries from a local perspective, with each author contributing a unique bird’s-eye view of their particular context. This comprehensive analysis of the origins and dissemination of jazz on the old continent, produced by an international team of distinguished writers, is the first of its kind. Although members of national jazz communities may not agree with all the views presented in the book, it will undoubtedly provoke lively debate and open up new avenues for research within European jazz scholarship. Library Of Congress – Washington – NO ? 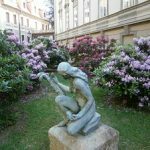 Jazz Fellowship/ Section – Prague, Czech Republic – YES !